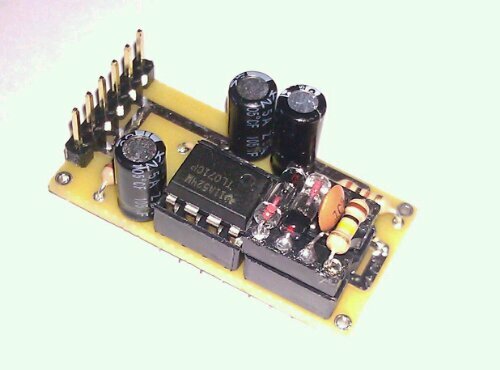 LoFi Distortion Lab from GetLoFi.com/shop is our first OP-AMP based kit, specifically designed for easy experimentation with different value components. The goal of this circuit is to provide a simple modular distortion/amplifier unit for variety of audio sources like guitar, electronic instruments, and piezo contact microphones. 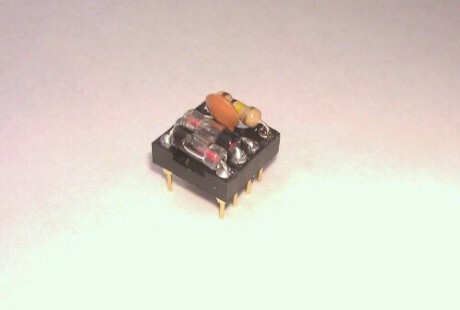 At the heart of the circuit is a single low noise TL071 OP-AMP IC configured to operate from a single ended 9 volt power supply. Once all the required components are in place on the PCB you will assemble the basic Tone Profile module by plugging in various parts on top of the included gold plated solder cup connector. This connector would then slide into a Socket next to the Op-Amp IC. 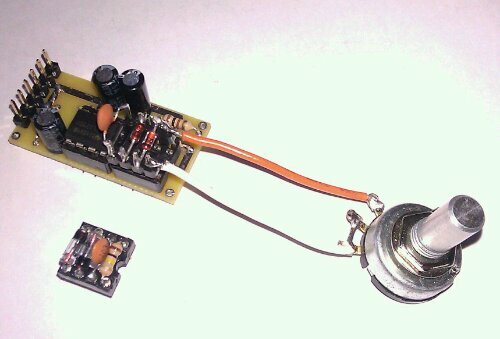 Pictured above is a Germanium diode clipping module with a 0.01uF High Pass Capacitor and a 100K Gain Resistor. 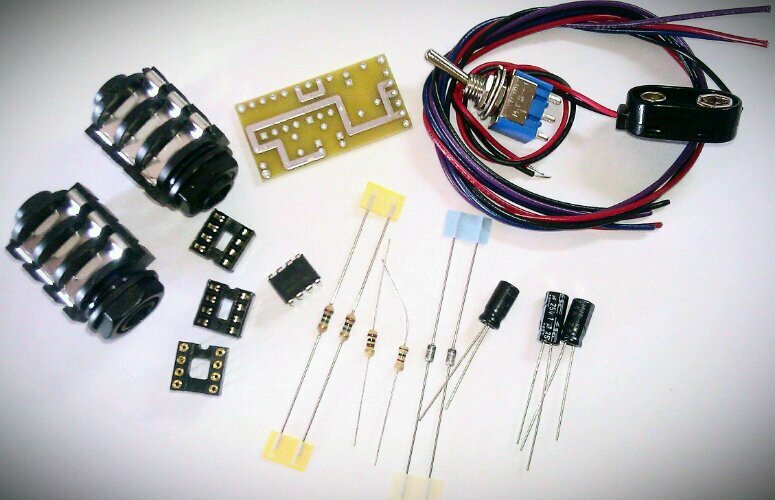 Each one of these components can be replaced and tweaked when you create your very own Tone Profile. Various diode types such as Silicone, Zener, or Germanium will give you different audio clipping levels and with this kit you can try 1, 2, 3, or 4 various diodes to see what will happen with the simplicity of a breadboard. Once you are ready to commit, simply solder the components to the socket creating a swap-able Tone Profile module. A DIP converter boxes such as this can also be used. Wait you say, “I am not seeing any knobs, how do I control the gain on this thing?” To make this design compact and innovative no variable controls are included. However it is easy to add a potentiometer instead of a resistor on the Tone Profile module to change the amount of OP-AMP feedback gain. 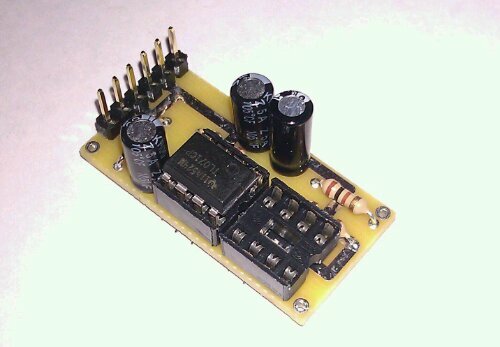 Simply add a potentiometer to the top of the module or on the bottom of the circuit board. If you are using a guitar, the volume knob, tone control, and pickup coil selector switch will also drastically shape your sound without the need for any other controls on the circuit board. For the first time there will also a complete schematic in our main howto.pdf file along with explanations for every component and why it is there. This knowledge to will enable you to start making your very own OP-AMP distortion flavors or simply adding an easy to assemble unique distortion effect for your arsenal. This module is here to stay so please order away!